Core concepts. Why should you care about propaganda? Cognitive biases. How do trolls manipulate our biases? Decoding propaganda. 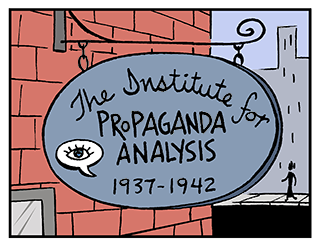 How can you detect and analyze propaganda? Case studies. Learn about mind-blowing propaganda case studies. Examples. Analyze real-world propaganda examples. Fighting back. How can you protect yourself against fake news and propaganda? Games. Fun propaganda games for your phone and computer. Video. Watch propaganda videos from then and now. Archive. Looking for the old site? You can view the archived version of the site.